There are plenty of helpful videos on this subject, but I find guides with pictures to be useful with a project like this. I've added a lot of close ups for each step so the pictures should help guide you. The tail board is designed to withstand more pulling tension. If you look at the diagram below you'll understand why. So it depends on what you're building as to how you'll want to situate the pins and tails. With the depth set from the pin board, make a mark on all four side of the tail board. You'll need to determine the size and number of tails. For this project I'm going to use two tails. I'm also using a handy dovetail marker and a marking knife to mark the angle. How you mark the tails will depend on the tool you're using. In my case, I'm going to use a pencil to mark 1/4 inch from each edge. Then I'm going to find the center and mark 1/8 inch on each side of the center. This will leave 1/4 inch in the center of the board. 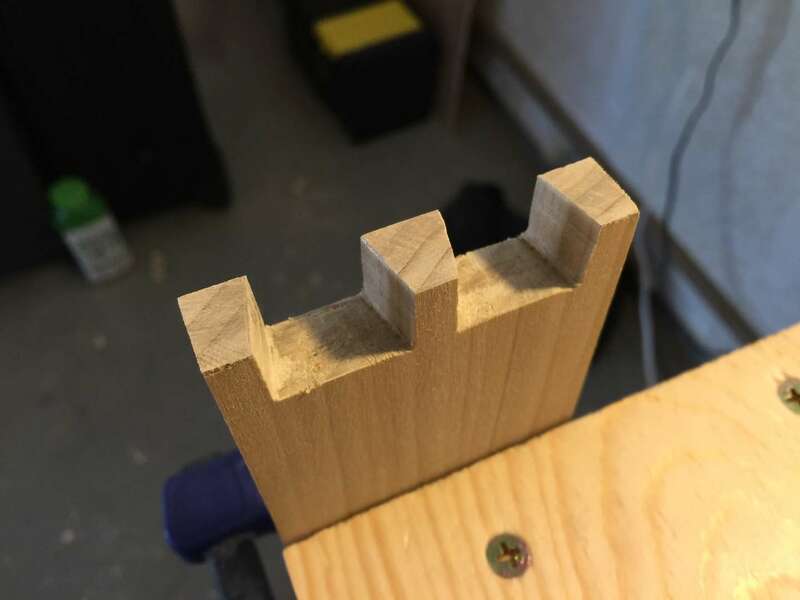 Then I'm going to use the dovetail marker to mark the angles. Start with one side of the board, and use your marking knife to mark down to your depth. Then mark four lines across the top of the board, and use the dovetail marker again to mark the other side. The picture will be much more helpful than the paragraph above. 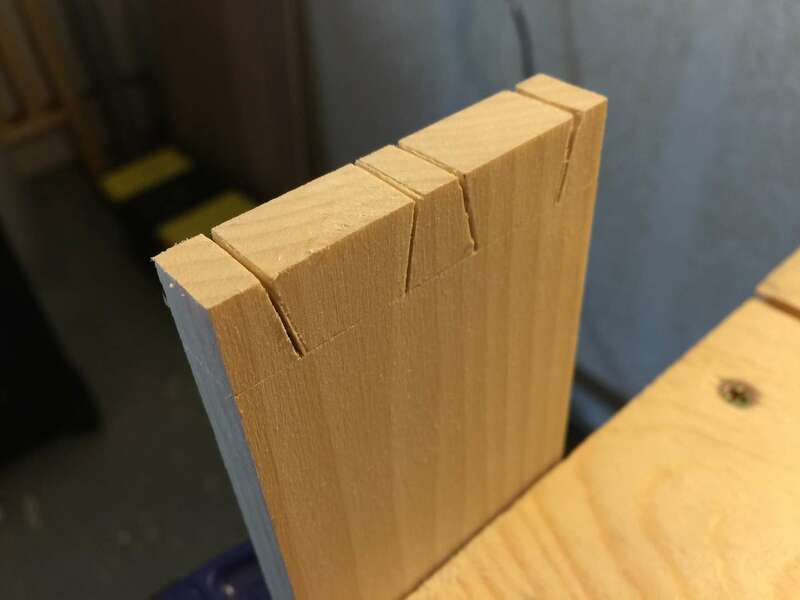 Using the dovetail saw, cut along the line you made with your marking knife. 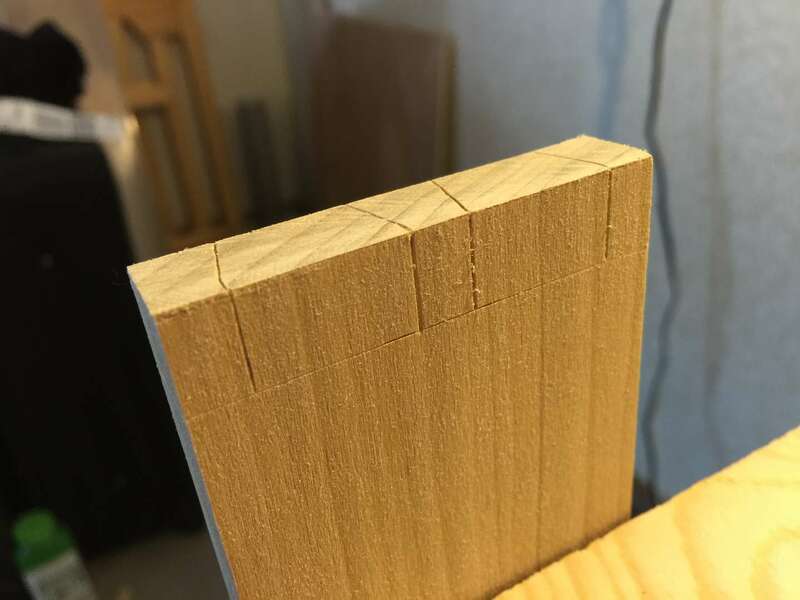 Do not cut past the line you made with your marking gauge. 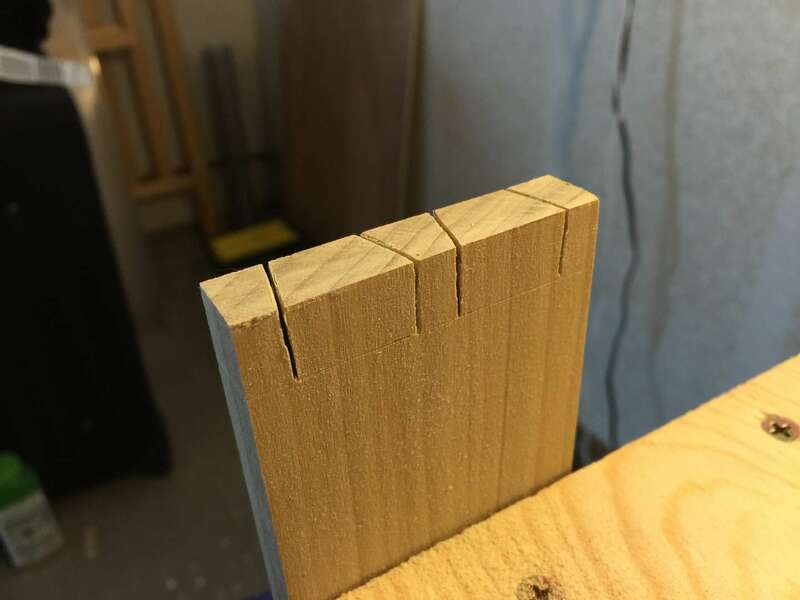 Make sure you do not cut past the line you made with your marking gauge. Now we are going to cut away the wood to leave the tails. 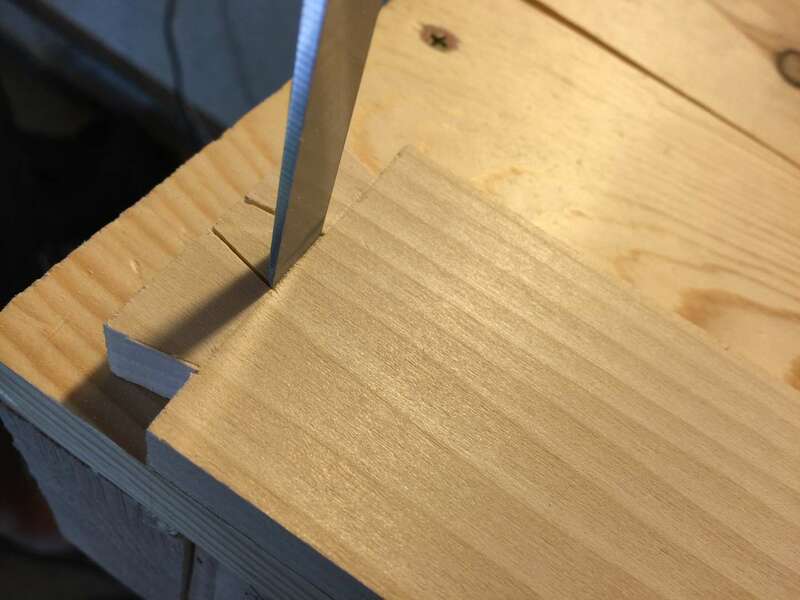 Use the dovetail saw to cut across the wood to the base of the tail on each side of the wood. Make sure to follow your mark. Do this on both sides. 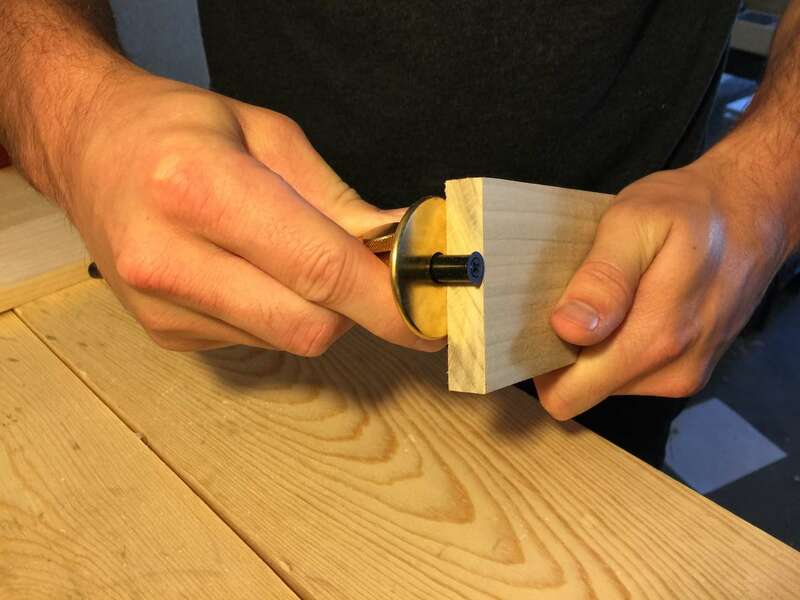 Tap the top of the chisel with a mallet. 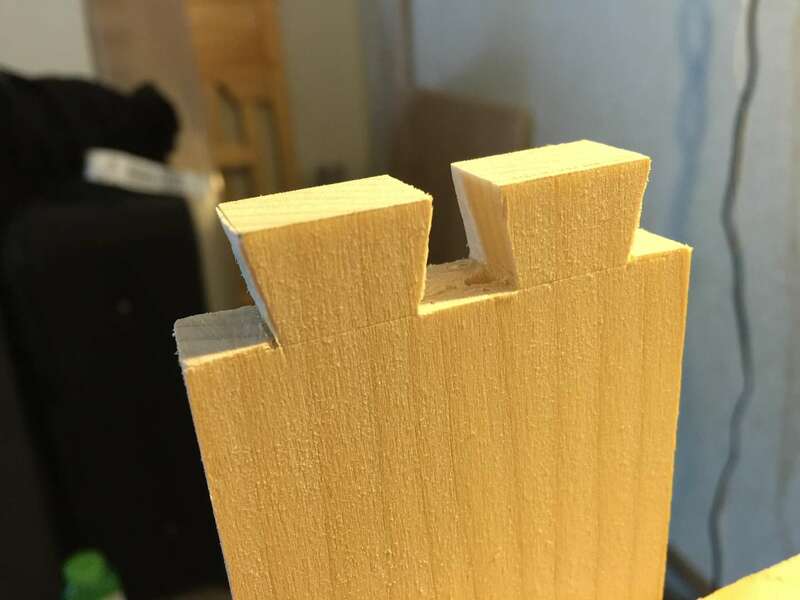 Don't try to chisel too much at a time. Four or five soft hits should be plenty. Now chisel away from the front of the wood removing only small pieces of wood at a time. This process will take some time and you shouldn't try to rush it by chiseling away too much at once. Alternate back and forth between step 7 and step 8 until you've reached the center. 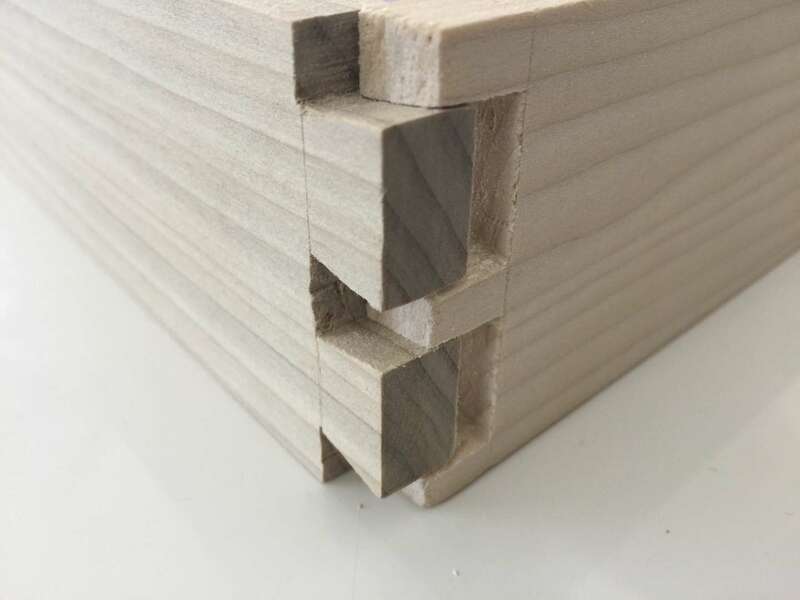 It's important not to chisel all the way through to the other side of the wood because you'll risk damaging the other side. So once you reach the center of the board you should flip it over and start again from the other side. Your tail board is almost finished. You can clean up any uneven or rough edges with a file or sandpaper. 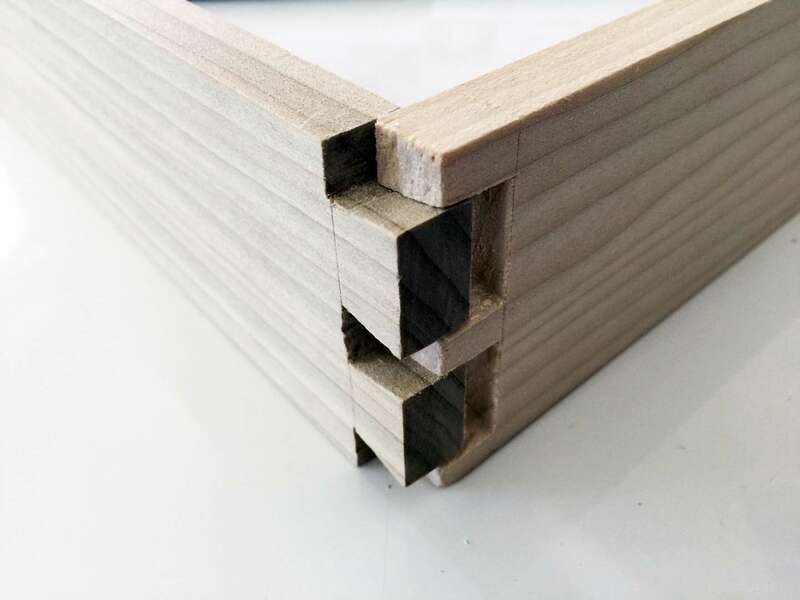 You want the edges to be as straight as possible, but don't remove too much of the wood. Just as we did with the tail board, we need measure the depth of the tail board and mark the pin board. 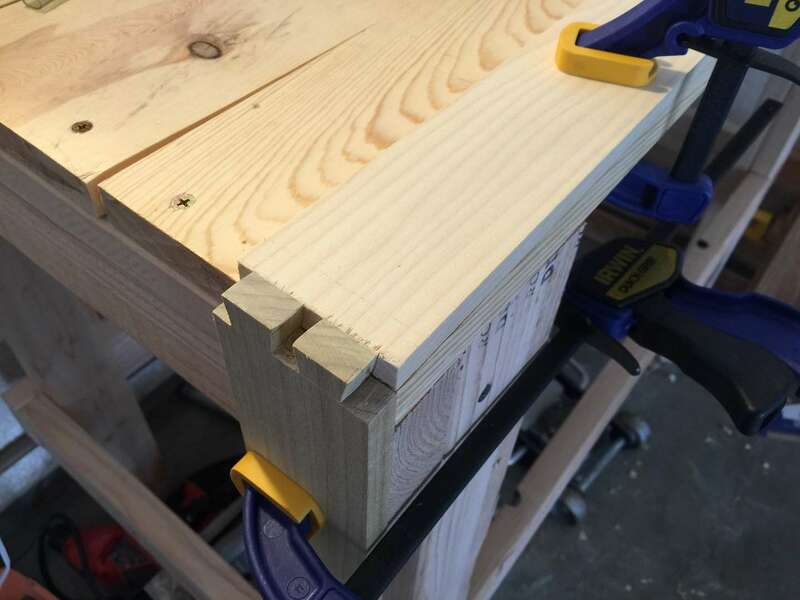 There are many ways to do this, but I like to use clamps to position the boards in place. Using the marks along the top of the pin board as a guide, mark straight down on both sides. You'll want to use a square to ensure the marks are straight. 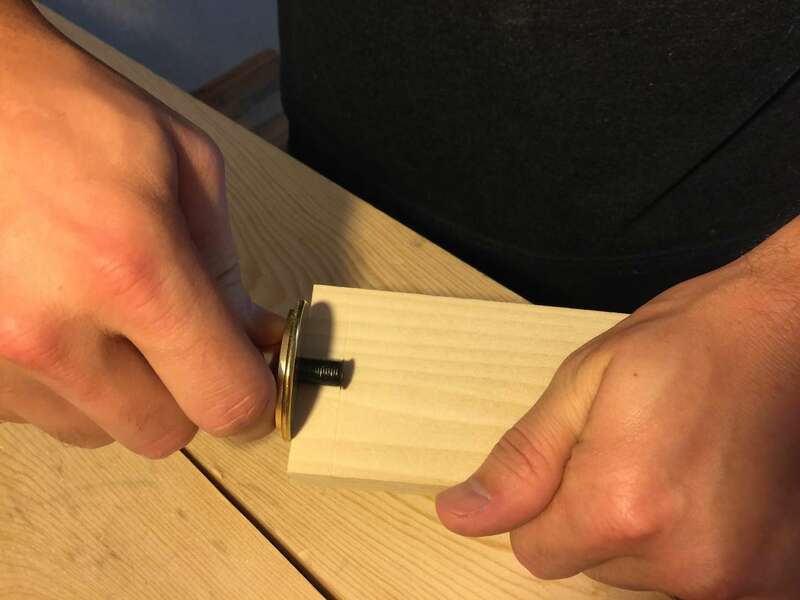 Just as you did with the tail board, clamp the pin board so that you can begin cutting. 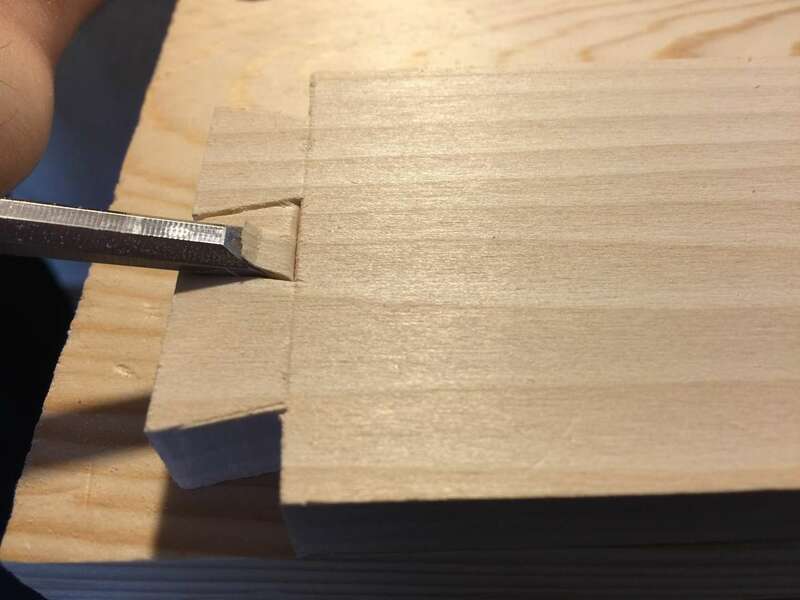 Use the dovetail saw to cut down the top of the board on all four marks. You may have noticed the one side of the pin board has wider pins. 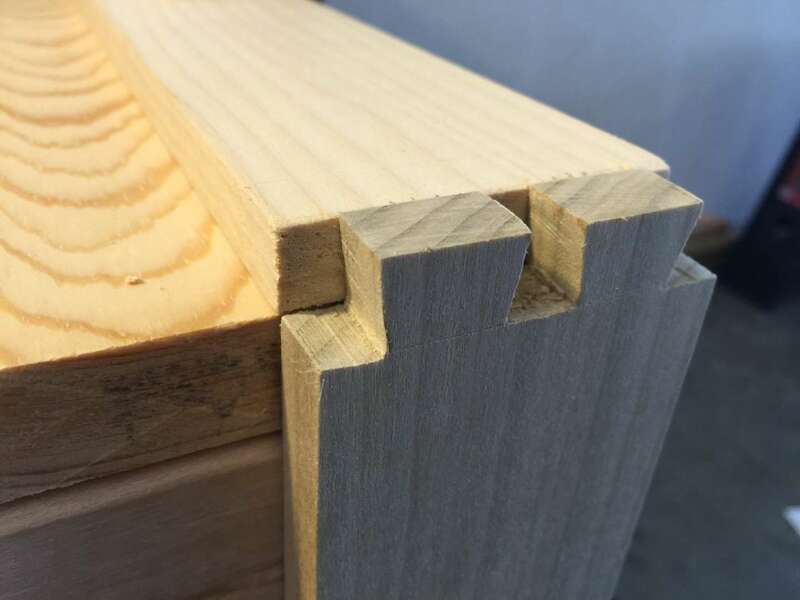 You'll want to start chiseling on the side with wide pins. Because the area you're chiseling is angled, you need to be careful not to chisel into the edge of the pin. 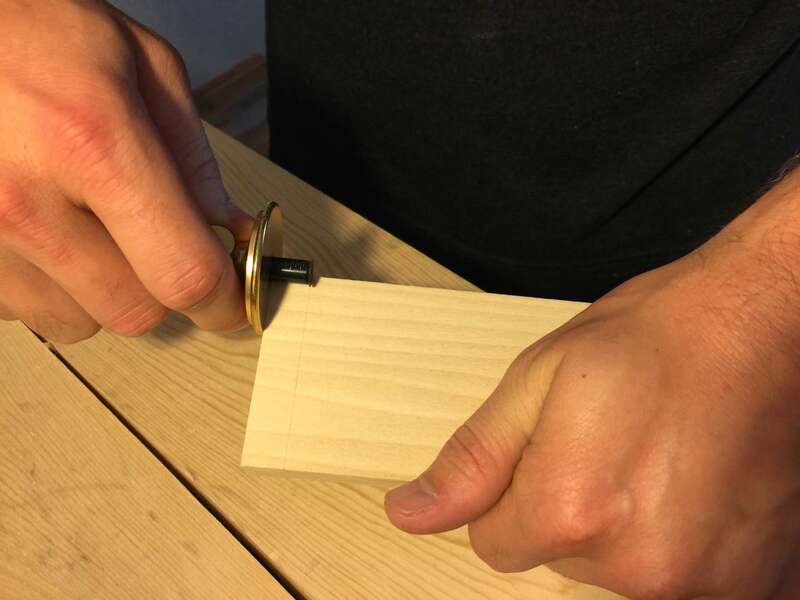 Just as you did with the tail board, remove small pieces of wood until you reach the center of the board, then flip it. Once you've chiseled away in between the pins, you're ready to clean up the wood. Again use a file or sandpaper to flat uneven edges or remove wood leftover from the saw. 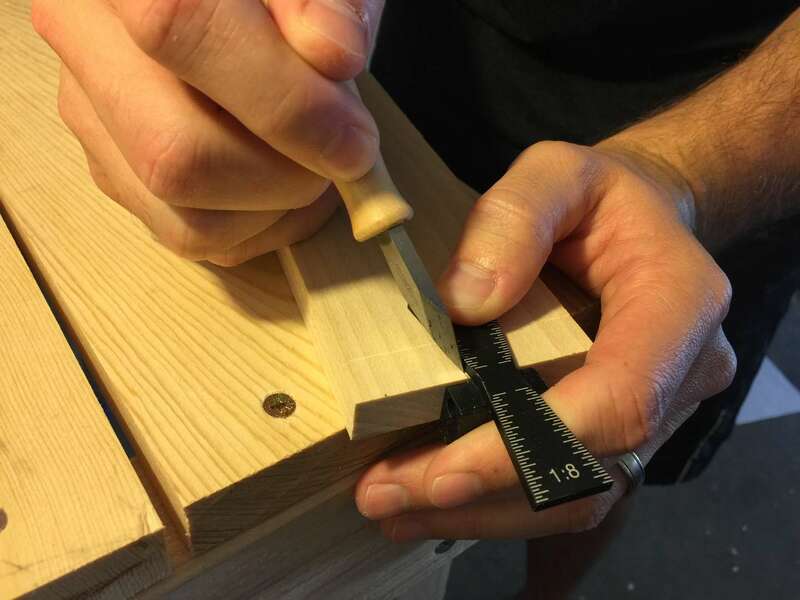 Don't worry, dovetails require practice. I'm still improving on my technique every time I make one. 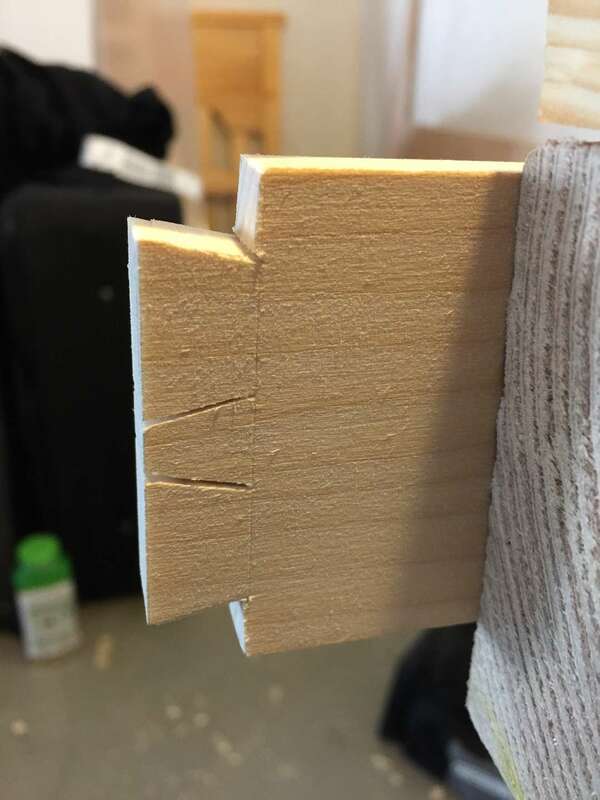 If the wood doesn't fit together well don't force it, but you may need to tap lightly with the mallet in order to make them fit. You may also need to examine where the wood is too tight and fix this with a file or sandpaper.